With New Year’s resolutions nearly six months old, many students on campus may be pleased to hear that the CRC isn’t shutting down shop on classes and intramurals for the summer. In fact, the summer time is one of the CRC’s busiest times of the year, and despite the decreased number of students on campus in the summer, the CRC still has plenty of activities for members to participate in. 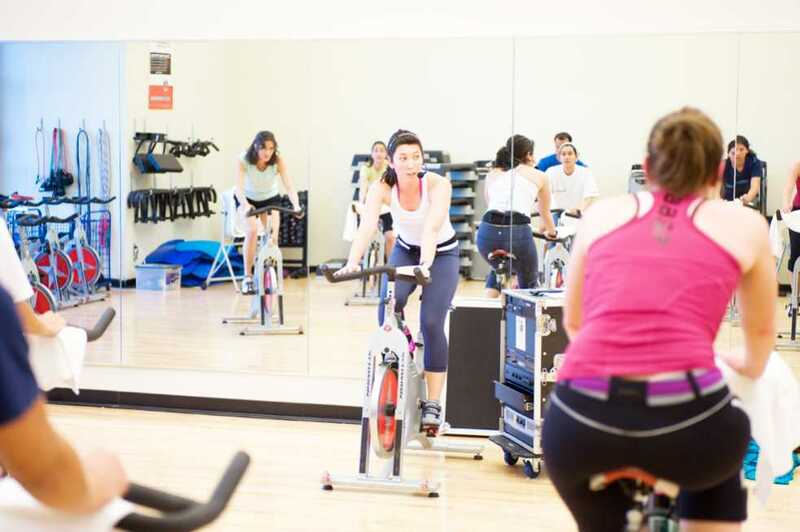 This summer’s fitness classes include group fitness classes like boot camps, indoor cycling classes and cardio kickboxing, as well as skill-based classes, in which an instructor teaches arts like capoeria, street styles dance and boxing. The CRC’s personal trainers are also available this summer to assist members with their fitness goals. “We just finished our free week of classes, but if students want to try out a kickboxing class or a yoga class, for example, they can just come in and try a class and then register for the semester pass,” Stewart said. The CRC will also be holding summer intramural sports leagues even though the Roe Stamps Field renovations will continue until August. Students interested in joining an intramurals team can select from indoor soccer, dodge ball or three on three basketball. Students can also devote some time this summer to training for the CRC’s Navy Seals Challenge, a fitness contest that will be held on Aug. 20 as a part of Tech’s Welcome Back Week. In addition to the many activities and teams offered by the CRC, students looking to work out a few times a week may have a CRC experience that is noticeably less crowded since fewer students on campus means fewer students using the CRC’s facilities. Although the weight room or running track may appear to be a bit less crowded during the summer months, CRC Director Michael Edwards is eager to remind students that the CRC’s business schedule is as busy as ever. “The summertime is not exactly a slow time for us. It’s a lively summer,” said Michael Edwards, Director of Campus Recreation. Edwards explained that the CRC splits its facility usage into three main sectors: daily programming and informal recreation, summer camps and athletic events. Almost every summer camp on campus will eventually visit the CRC, and the CRC also rents out space for athletic events such as age-group swimming meets. In fact, the CRC hosts the annual YMCA National Championships for swimming. The CRC is also home to several basketball and volleyball camps for high school varsity athletes. In an interesting tangent, Edwards explained that holding such events at the CRC is crucial to sustaining the CRC’s operations from year to year. For more detailed information regarding the CRC’s summer opportunities, including intramurals and classes, the CRC summer program guide is located on the CRC’s website at www.crc.gatech.edu.